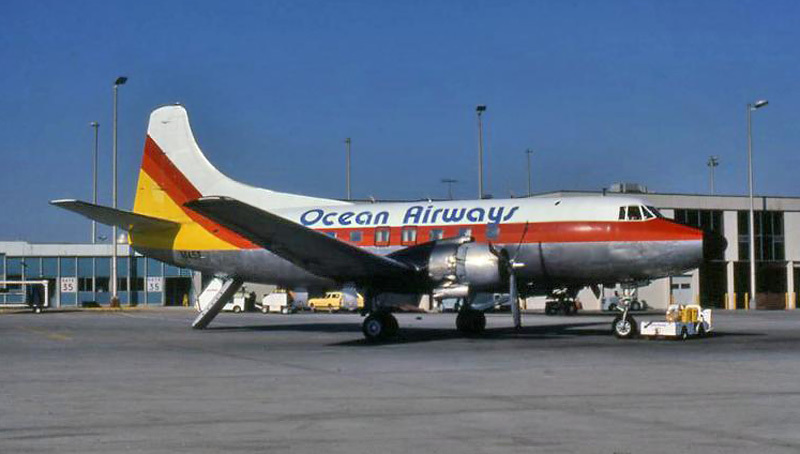 New Jersey-based Ocean Airways was known as Monmouth Airlines until May 1979. From 1973 to 1975, the affiliated company Vero Monmouth operated scheduled flights from Vero Beach, FL. Although the scheduled Florida routes proved unsuccessful, the northern operations continued through the end of the decade. 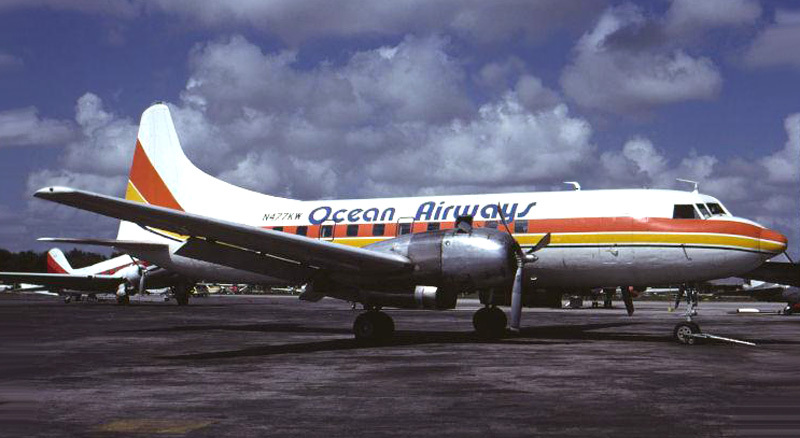 The newly renamed Ocean Airways established another southern division when the airline took over the Atlanta-based routes and aircraft of the financially struggling Air South / Florida Airlines. 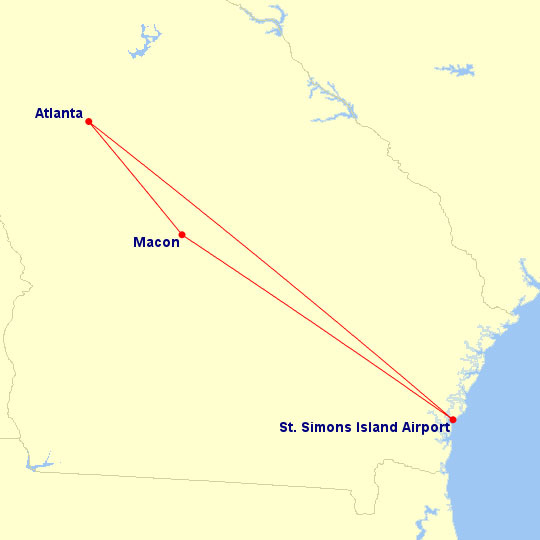 Commuter flights from Atlanta to Macon and St.Simons Island, Georgia began on January 12, 1980, the day after Air South folded. 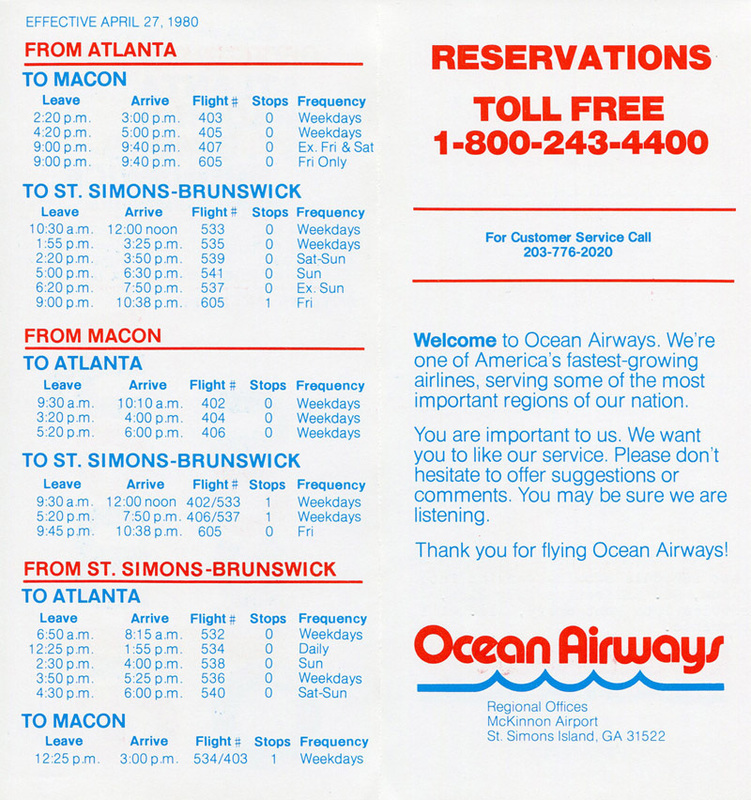 Ocean Airways initially served Macon and St. Simons Island from the Atlanta base. The airline faced stiff competition on the Atlanta - Macon route, flying directly against Delta Air Lines DC-9 jets and ASA's high frequency Twin Otter flights (not to mention the easy 90 minute drive on I-75). Service to Macon was discontinued in July 1980. 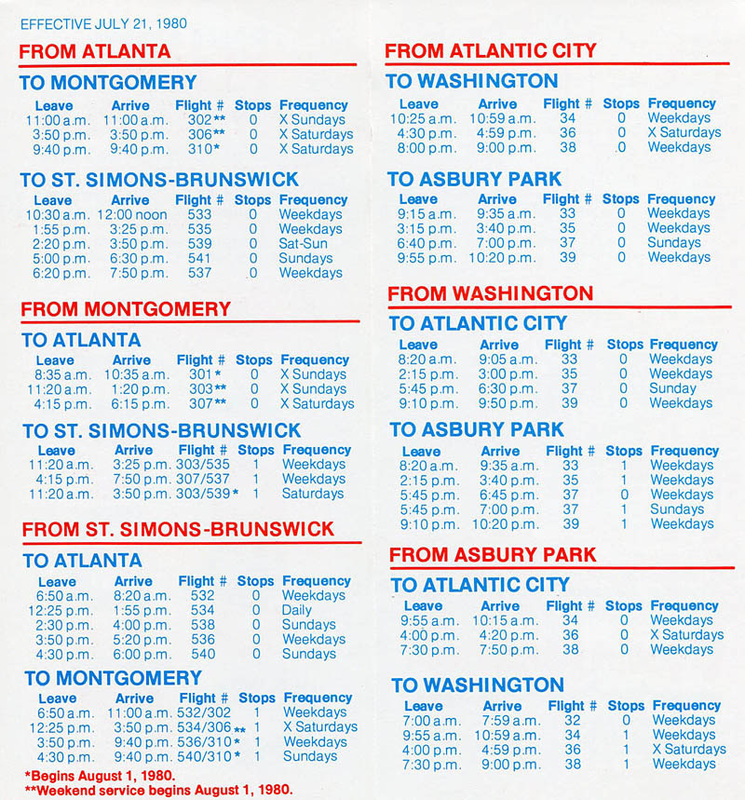 Ocean Airways route map based on the April 27, 1980 timetable showing routes between Atlanta, Macon and St. Simons Island Malcolm McKinnon Airport. Created with Great Circle Mapper. Traffic on the Georgia routes was lighter than expected and Ocean transferred one Beechcraft B-99, less than half the size of the 40-passenger Martin 404s, from the northern division to fly during periods of low demand. N7099N is pictured at Atlanta in May 1980. 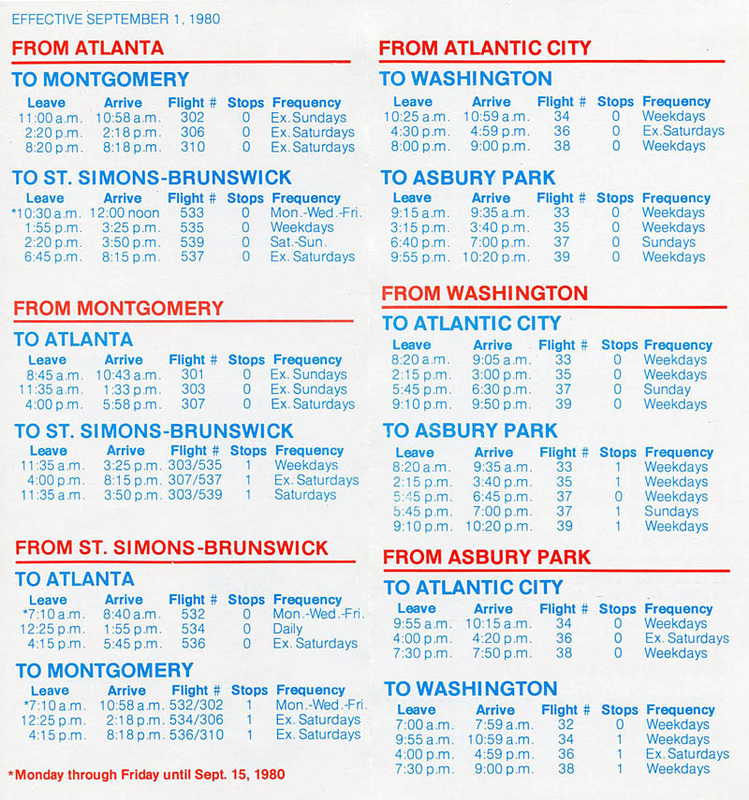 Ocean Airways timetable effective July 21, 1980 shows new service to Montgomery, AL. This seemed like a logical market choice since Eastern Air Lines had recently discontinued service to the Alabama capital. On the other hand, Ocean was operating 1950s propeller aircraft in direct competition with Delta Air Lines jets and passenger boarding totals were disappointing. By late July, the airline was seeking a federal subsidy to offset losses on the Atlanta - St. Simons route. Load factors were reportedly in the 35 to 40 percent range when at least a 50 to 60 percent load was required to break even. Many of the former Air South Martin 404s were plagued with maintenance problems and parts for the aging aircraft were becoming increasingly difficult to obtain. As a solution, Ocean also began operating both Convair 440s formerly flown by Air Sunshine from Atlanta in mid 1980, replacing Martin 404s on most flights. 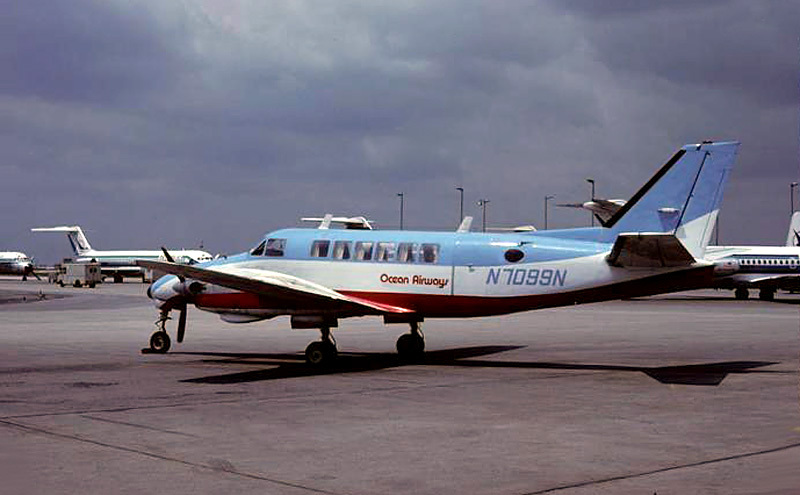 Ocean's northern division continued to operate only Beech 99s. Convair 440 N477KW (sn 210), still in basic Air Sunshine colors, is pictured at Miami after its brief stint with Ocean Airways. Here is the final Ocean Airways timetable issue showing flights from Atlanta. On September 23, 1980, the airline announced that it had ceased all Georgia based flights due to sustained operating losses. Service continued on the northern routes between Atlantic City, Asbury Park and Washington.